Dr. Huang Jiefu, Beijing’s point man for selling its murderous organ transplantation system to the world, has been on a roll. In October, Beijing Youth reported that the International Society for Organ Transplantation and Procurement announced it now welcomes Chinese transplant doctors to be members, present papers at its conferences, and publish in medical journals. If true, this reversal of previous bans follows upon a year in which some Western medical organizations have made supportive noises for the “reforms” of China’s transplantation system that Huang Jiefu is said to be leading. Seemingly blessing these developments, in August Huang received the Gusi Peace Prize for “human rights.” And in late November, he picked up more hardware, the Wu Jieping Medical Research Prize. In the midst of this celebration of Dr. Huang, the New York Times ran an article that raised an inconvenient question. The great hopes for the transformation of China’s transplantation regime lay in the promise made by Huang Jiefu one year ago that China would establish a voluntary organ donation system that meets international standards. No longer would it use organs from executed prisoners—a shorthand way of saying that no longer each year would thousands of death row prisoners and prisoners of conscience be executed by having their organs ripped out of their bodies. In the first year under China’s new transplantation regime of not using organs from executed prisoners, China’s organ supply did not decrease. How is that possible? On Nov. 18, the day after the New York Times published, Huang surfaced. He met with the reporter who had raised this uncomfortable scenario and did what he regularly does. He tried to throw sand in the eyes of those who might be paying attention. But actually, not only had Huang said on more than one occasion that prisoners’ organs were included in the “voluntary” donations, but so, too, had other Chinese transplant doctors. Many Chinese official media mouthpieces have quoted Huang saying similar things many times over the past couple of years, with no protest being raised by Huang or anyone else. That prisoner organs were part of the voluntary donation system must have been part of the approved talking points until the day the New York Times discovered that the math of “voluntary” donations did not add up. According to the Beijing Youth reporter who went with the NYT reporter to meet Huang, that meeting was neither requested by Huang nor by the NYT. It was arranged by the National Health and Family Planning Commission (NHFPC). That means that someone at a higher level in the Chinese regime was not happy about the report and ordered Huang to fix it. Who Is Huang Jiefu Anyway? Westerners have a long history of seeing in China the reflection of their own desires, a weakness Chinese have long grown expert at manipulating. On Dec. 4, 2014, when Dr. Huang Jiefu announced China would, beginning in 2015, only use voluntary organ donations, he became the vessel for the West’s longings that China would not use its medical system to commit crimes against humanity. Those desires have persisted in the face of stubborn facts: Huang has never had the authority to enact any reform; no law or regulation in China recognizes the supposed ban on using the organs of executed prisoners; and the new voluntary donation system has no functioning structure or source of donors. 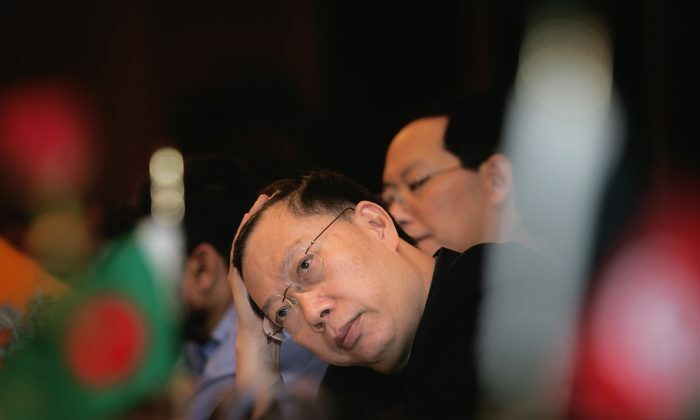 Western media typically refer to Huang as the former vice minister of Health. Forget about that title, as the “former” vice minister has no authority to announce any policy, regulation, or rule. On the official Chinese Leaders Database, Huang Jiefu has only one position, the Deputy Chief of the Central Health Care Committee, which takes care of the health of the core leaders of the Party and the state. Obviously, this title doesn’t give Huang authority over transplant reform and has never been used in his public role. According to the Chinese regime’s propaganda, Huang is the chairman of the Human Organ Donation and Transplant Committee (HODTC). However, the Organ Donation and Transplant Committee is only seen in Chinese media reports. It doesn’t have its own website, and is not listed under any state agency, not even on the website of the NHFPC, which supposedly supervises the Committee. Organ Transplant Abuse in China: What Is to Be Done? 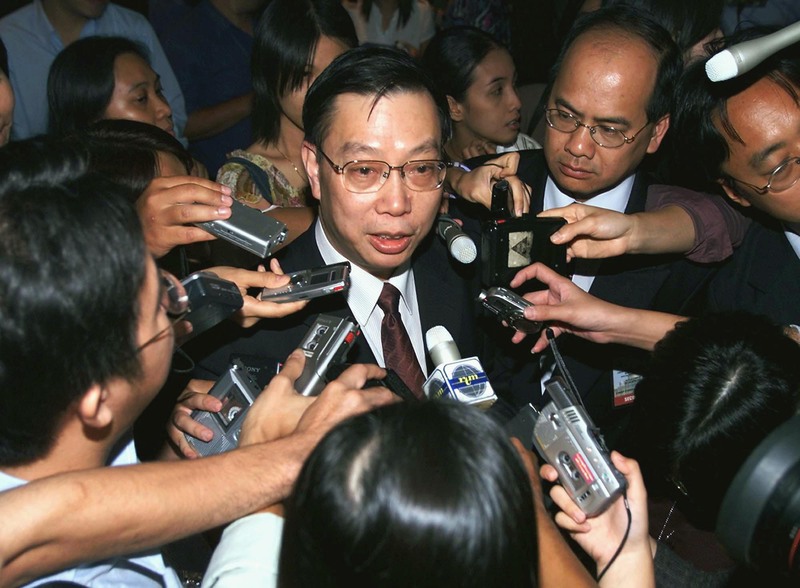 In November 2005, Huang announced that most transplanted organs were from executed prisoners. Since then, he has been perceived as the only one in charge of everything related to organ sourcing. However, not a single agency or official, whether from the Party or the state, has ever endorsed or openly supported Huang’s activities. In fact, Huang’s claim in 2005 was twice denied by state agencies in 2006. First by the spokesperson of the Ministry of Foreign Affairs, then by the spokesperson of the Ministry of Health, who was his subordinate. When Huang began saying that China would stop using organs from executed prisoners, he did so with no legal basis. China has three regulations on organ transplantation. The 1984 Interim Provisions by the Supreme Court, Supreme Procuratorate, and several ministries is the only directive that regulates how to use an executed prisoner’s organs. This regulation is still active. A preliminary regulation was issued on March 28, 2006. Why then? In early March 2006, Epoch Times had broken the story that China was engaged in forced organ harvesting from living Falun Gong practitioners, and the regime was scrambling to respond. On March 31, 2007, this preliminary regulation was replaced by one issued by the State Council. The new regulation established the principles that organ donations should be made of the donor’s free will and without payment. It also established that the donor should have full civil competence to donate. But it was silent as to whether organs from executed prisoners could be used. The third regulation was issued in August 2013 by NHFPC. It prohibits hospitals from obtaining and allocating organs directly from local courts, but does not ban the use of organs from executed prisoners. In short, there is one regulation to allow, and no regulation to ban, taking organs from executed prisoners. There is an interesting fact about these legal provisions. 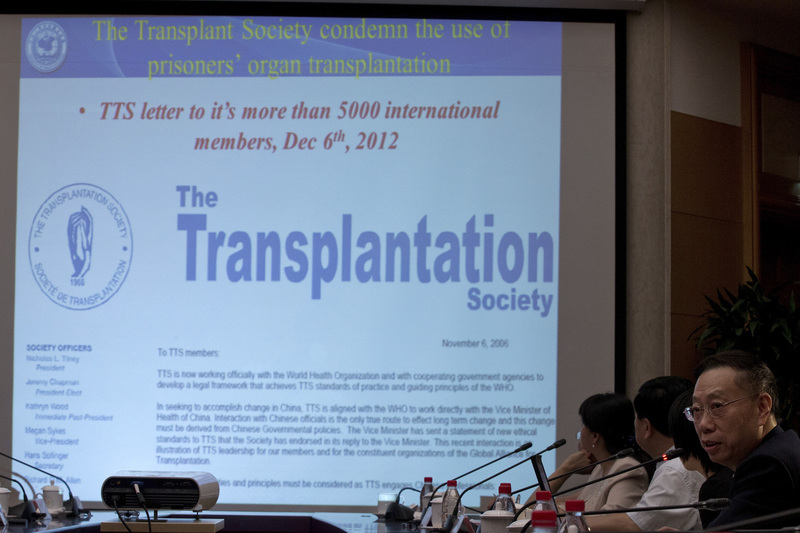 Even though there is only one regulation that governs the use of organs from executed prisoners, Huang Jiefu, the public head of China’s transplant community, claims he has never read it. An anecdote from a few years ago sheds light on this. When asked what laws prohibited the media from reporting on the Jasmine Revolution in China, the spokesperson of China’s Foreign Ministry responded, “Don’t use the law as a shield.” In China, the laws are the tools of the Chinese Communist Party and are not intended to apply to the Party itself. In China, the laws are the tools of the Chinese Communist Party and are not intended to apply to the Party itself. Huang has no need to claim to have read the laws regulating organ transplantation. They are irrelevant. During the Nov. 18 interview, Huang told the Beijing Youth reporter that the two most important agencies involved in organ donation, the Red Cross and the NHFPC, didn’t coordinate well. These two agencies acting jointly had established the Organ Donation and Transplant Committee on March 1, 2014. But this perch from which Huang gains his authority to speak about organ donation exists in name only. He told the reporter it has not had a single meeting. As the chairman, Huang said he felt helpless and really worried. Huang revealed another detail. In 2012, the Center for China Human Organ Donation Management was established. Supported by the State Council, the center has 16 staff members. So far, the Center hasn’t operated well due to the bad coordination and a lack of clarity about the respective responsibilities of the two state agencies in charge, the Red Cross and the NHFPC. According to Huang himself, then, China’s voluntary donation system depends on two key organizations, one leadership committee and one executive center, which either do not coordinate their work or do not work at all. Of course, for a voluntary donation system to operate, there must be donors. Because of cultural prohibitions, the Chinese people have not been volunteering to donate their organs. This is very difficult to change overnight. From 2003 to May 2009, in all of China there were only 131 instances of voluntary organ donation. In 2015, the number is projected to be 2,500. Huang and other Chinese doctors attribute this sudden explosion in donations to the ending of using organs from executed prisoners and to the “fairness” and “transparency” of the new organ donation system. While no longer using organs from executed prisoners would force the doctors, the hospitals, and the organ brokers to find alternative organ sources, it would seem to do nothing to encourage people to donate their own organs. For the individual donors, there is no difference between 2015, 2014, or 2003. In China, with no exceptions, only the rich can have organ transplants. This is the ‘fairness’ of the system Huang says will encourage people to donate. According to Huang Jiefu, even though there are 300,000 people who need organ transplants in China each year (the unofficial number is 1.5 million), he only counts 20,000 on the wait list. The reason? Only these 20,000 can afford the operation. In China, with no exceptions, only the rich can have organ transplants. This is the “fairness” of the system Huang says will encourage people to donate. Even though there is no evidence that the voluntary donation system has ever worked, Huang Jiefu’s public relations efforts seem to work. In March 2015 in an interview with the Hong Kong-based Phoenix TV, Huang strongly hinted that regime’s former security boss, Zhou Yongkang, was involved in organ harvesting. This intervention by Huang into the controversy over organ harvesting in China fits a pattern that goes back to his first comments in November 2005. Huang simultaneously draws attention to the issue of organ harvesting from executed prisoners while avoiding mention of the real source of most of the organs: detained Falun Gong practitioners. But in the past ten years, a growing pile of evidence has accumulated pointing to mass harvesting from Falun Gong practitioners—phone calls to doctors admitting sourcing organs from Falun Gong practitioners, blood tests and medical exams given only to practitioners held in labor camps, testimony from insiders in China, and the coincidence of a huge increase in organ transplantation occurring immediately after the persecution of Falun Gong began. And so Huang has for ten years performed a magician’s sleight of hand, telling Western media and professional organizations to look at the executed prisoners, while distracting them from the elephant in the room, the murdered Falun Gong practitioners. Huang has for ten years performed a magician’s sleight of hand, distracting the public from the elephant in the room, the murdered Falun Gong practitioners. But the system the world has begun to honor is not one of voluntary donations. It is a system of forced organ harvesting from prisoners of conscience, especially Falun Gong practitioners. Heng He is a reporter for Epoch Times. David Matas dissects the official numbers on China's organ transplants in a recent address in Bern, Switzerland.